Marc W. Kruman is the founding Director of the Center for the Study of Citizenship and Professor of History at Wayne State University. He has taught American history at Wayne State since 1975. Kruman is the author of two books—Between Authority and Liberty: State Constitution Making in Revolutionary America (1997), and Parties and Politics in North Carolina, 1836-1865 (1983), and the co-editor of The Meaning of Citizenship, co-editor, Richard Marback (2015)..He has been awarded an Andrew W. Mellon Faculty Fellowship in the Humanities at Harvard University and a National Endowment for the Humanities Research Fellowship. In 1999 he was a Fulbright Senior Lecturer at the University of Rome. 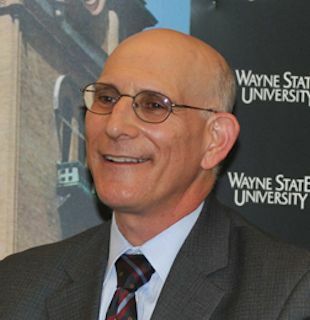 At Wayne State University, he has received the President's Award for Excellence in Teaching, the Board of Governors Faculty Recognition Award (twice) and a Board of Governors Distinguished Faculty Fellowship. Kruman's current research focuses on the development of the interdisciplinary field of citizenship studies and the history of citizenship. Between Authority and Liberty: State Constitution Making in Revolutionary America. Chapel Hill: University of North Carolina Press, 1997, paperback ed., 1999. Parties and Politics in North Carolina, 1836-1865. Baton Rouge: Louisiana State University Press, 1983. "William Henry Harrison," in Alan Brinkley, ed., Reader's Companion to the American Presidency (Houghton-Mifflin, 2000). "John Tyler," in Alan Brinkley, ed., Reader's Companion to the American Presidency (Houghton-Mifflin, 2000). "Legislatures and Political Rights," in Joel H. Silbey, ed., Encyclopedia of the American Legislative System (Scribners, 1994). "The Second American Party System and the Transformation of Revolutionary Republicanism," Journal of the Early Republic, 12 (Winter 1992), 509-537. "Suffrage," in Eric Foner and John Garrity, eds., Reader's Encyclopedia of American History (Houghton-Mifflin, 1991). "Democratic Party," in Dictionary of Afro-American Slavery (Greenwood Press, 1988). "Thomas L. Clingman and the Whig Party in North Carolina: A Reconsideration," North Carolina Historical Review, LXIV (January, 1987), 1-18. "Historical Methods: Implications for Nursing Research," in Madeline M. Leninger (ed. ), Qualitative Research in Nursing (Grune and Stratton, 1985). "Dissent in the Confederacy: The North Carolina Experience," Civil War History, 27 (December 1981), 293-313. "Abraham Lincoln," in Howard R. Lamar, editor, Reader's Encyclopedia of the American West (Thomas Y. Crowell, 1977; revised ed., 1999), 666-667. "Quotas for Blacks: The Public Works Administration and the Black Construction Worker," Labor History, 16 (Winter 1975), 37-51.